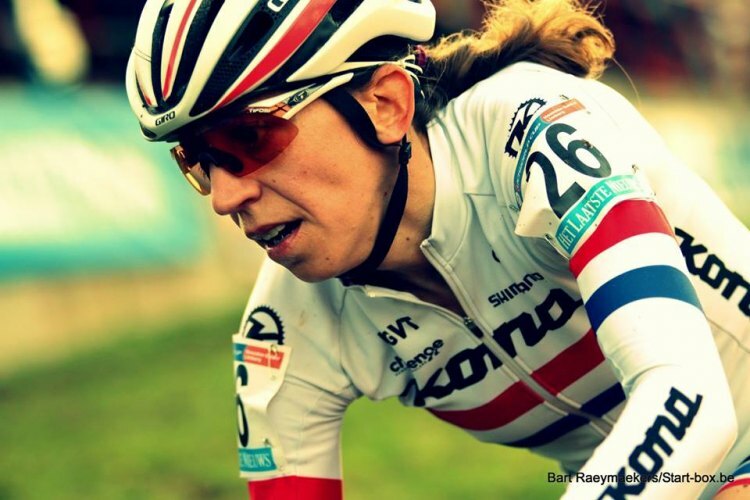 The Cyclocross World Championships take place in Heusden-Zolder this weekend, January 30-31. 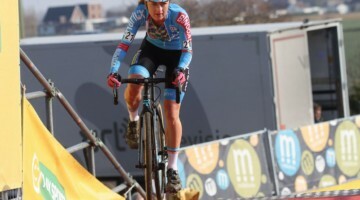 The course is a carbon copy of that used last month in Round 5 of the UCI Cyclocross World Cup on December 26th. That race served as a test event and gives insight to what racers will face this weekend. 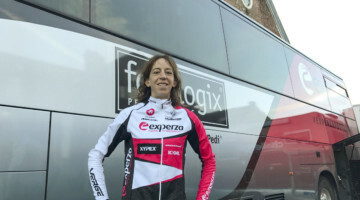 Stages Power athlete, Helen Wyman graciously shared her power file with us and we have POV course footage by Yu Takenouchi and analysis of Wyman’s data and the course itself by professional coach James Spragg. There are two videos, one is a full-course preview, the other is a shorter segment with on overlay of Wyman’s power data. All of this combined gives you an inside look at what the athletes will do this weekend in their bid to be the next World Champion. 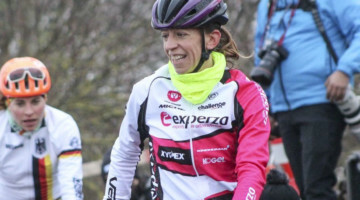 Below, Spragg, a member of Helen’s coaching team, breaks down a lap of the course with power metrics courtesy of Wyman and her Shimano Dura-Ace 9000 Stages Power meter. You can follow all of our coverage of the World Championships right here. This year’s World Championships take place at the well-known Zolder motor racing circuit. 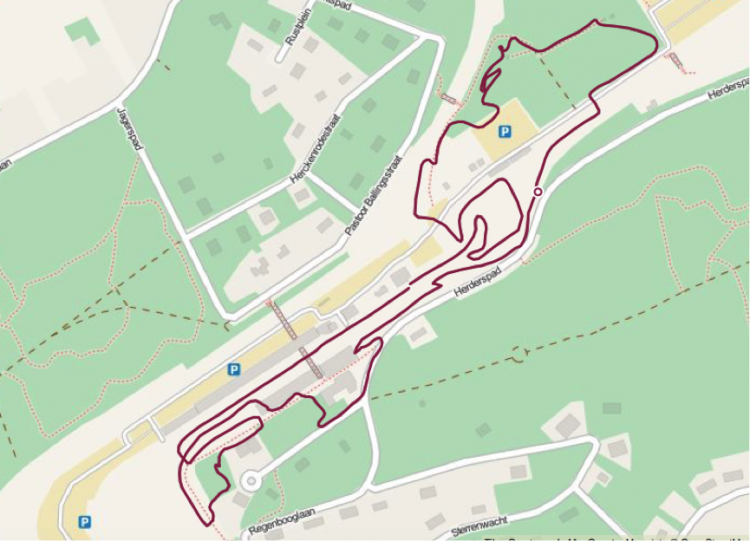 At 3.2km long it is one of the longest courses on the UCI’s World Cup circuit. The course is famous for its sandy terrain, its 3 climbs and 3 manmade flyovers. 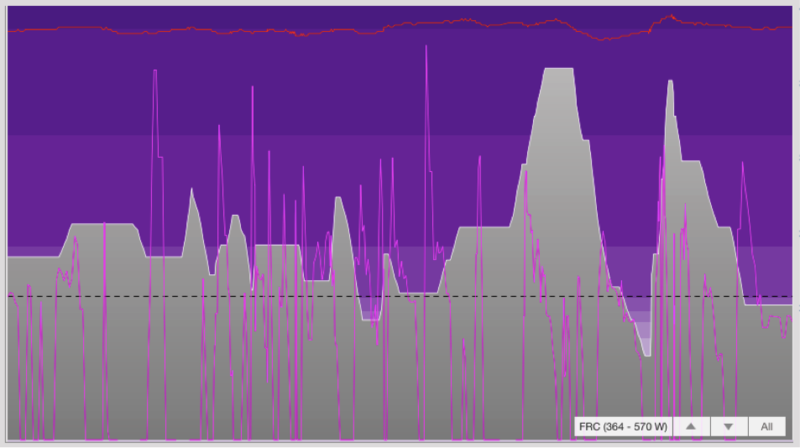 Below is the data trace from Helen’s Stages Power meter on her second lap of the December World Cup event. The first thing to notice is the amazing number of power spikes per lap. The dotted line represents Helen’s FTP power, her power rises above this on 28 separate occasions within the 8 minutes and 43 seconds it took her to complete this lap. That’s on average a sprint every 18 seconds. 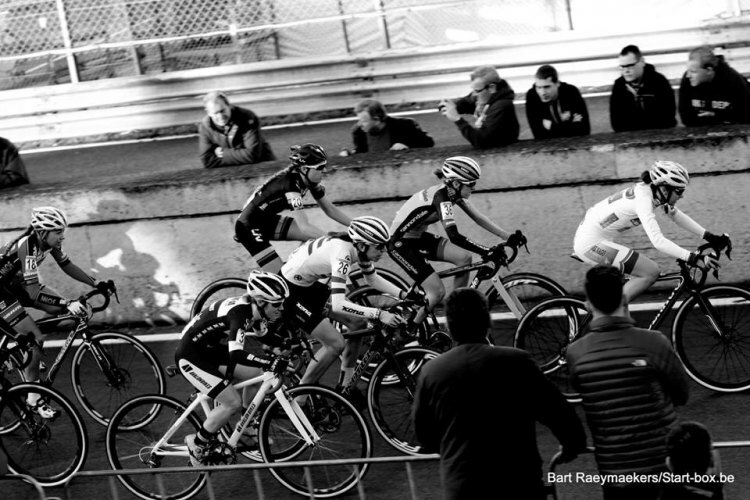 The women’s race was 5 laps in total—doing the math, you will see that makes for a total of 140 sprints in 45 minutes! Try doing that at home on the turbo. All of this sprinting makes for an extremely variable effort–the VI rating, the difference between average and normalized power, for this one lap is 1.2. For comparison the VI for time trial would be 1.05. Now, let’s have a look at a few different elements of the course. The course’s first section involves a few key elements. It starts with a long section of road through the start finish straight and past the grand stand. In the power file and video, you can see that Helen holds power for a prolonged period—around 30 seconds. 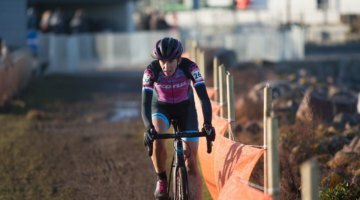 This 30-second effort in zone 5 might not sound like a lot but in cyclocross terms it is a long effort. The big spike in the middle of this section is where Helen has to go over the first flyover. For spectators, the bridges in Zolder may just seem like a way of the course getting over fences that protect the auto racecourse from the fans. However, Helen’s power file shows how they can have an impact on the race. Getting over each bridge is one of her biggest efforts each lap. The race then enters a technical section through the woods. Tight U-turns and small rises punctuate this section. You can see that out of each of these corners Helen has to produce a lot of watts, three of her five highest wattages come in this section of the course. The second section of the course incorporates the first two climbs of each lap. The first—the famous Sacramentsberg—comes as you exit the woods. You will see in the power file that the power output on the climb actually takes the shape of an M. This is because in the middle of a climb there is a small patch of concrete sticking out, which means Helen has to unweight her wheels as she goes over it to ensure she doesn’t puncture. This one of those nuances that every cyclocrosser knows about, but probably not something that you’d pick up watching the race on TV. For racers this concrete patch means that the climb is actually two hard efforts–her Stages Power meter reports 321w for 10 seconds followed by 362w for 8 seconds with a peak of 524w and with a 1 second break in the middle. These nuances requiring such efforts are what makes a cross circuit much harder to ride around than it would seem on the TV. After the descent of the Sacramentsberg comes a section where Helen has to complete three hard sprints in the space of 35 seconds. These efforts take her up and over the second bridge on the course—another example of how hard those bridges really make the race. From here the course climbs, only slightly at first, but then steepens. It is a section of the course where the wind can play a big role too. This headwind section can offer the smart racer a respite, slightly, if they are on a wheel and in the draft. The middle of the next climb is one of the most spectacular parts of the course, and the following off-camber section is one of the most technical sections of the entire race. All together, the section consists of an uphill U-turn into a section of off camber. This section is often wet, slippery and requires a lot of power to get through quickly. It also has two lines, the upper line and the lower. The upper line, which Helen prefers and Yu takes in the video, is faster shown by the fact Yu passes Lars Boom, but the lower line requires less power. To get up to the upper line Helen has to put out a huge amount of power to stay high enough in the U-turn and get into the upper rut—she posts her peak power here of 742w and holds over 650w on her Stages Power meter for 3 seconds. This in fact is her highest power output of the entire lap. The pain doesn’t end here, however. 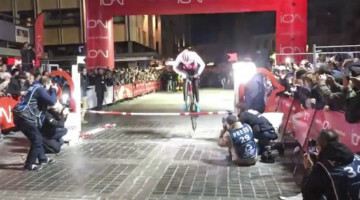 Immediately after the off camber section comes another, this time on tarmac and takes the riders to the highest point of the course. You will see that throughout this whole section Helen’s heart rate has been rising slightly. This means she has been riding at an unsustainable pace since exiting that first wooded section. From the highest point on the course riders now dive back down to the racetrack. This descent starts with a rooted wooded section before dropping into the traditional sandy and rutted descent that characterizes Zolder. This descent is dangerous enough that the organizers employ inflatable barriers at the bottom for rider’s safety should they loose control. While this descent is challenging at the best of times, but can you imagine negotiating it when you are approaching it at 190bpm. One of the true skills of a cross rider is being able to control their bikes expertly when they’re in the red. Most riders would be about ready to fall off their bikes at this point. The amazing thing about this section of the course is that Helen actually uses it as recovery. In this section her heart rate actually drops roughly 10bpm, from 195 to 186bpm. In fact, this is one of the only sections of the course where she is able to recover. This section takes Helen 1 minutes and 12 seconds. 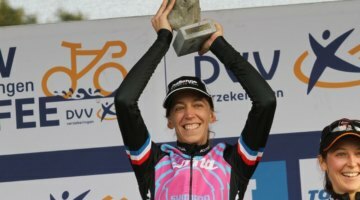 In that time she’s still averaging 115w on her Stages Power meter. You may have noticed in the power file that in the last section of the course Helen’s heart rate hits it’s highest peak, however she doesn’t seem to be producing any power. This is because the final section of the course starts with a brutal run up that is so steep riders have been known to use their free arm to brace themselves while running up the banking. Immediately after the run up the riders have a very small space to re-mount. At that point they turn right onto a new feature in the course—a very steep 100 meter climb. This is the steepest rideable part of the entire circuit and from the top there is a final downhill to the finish. Savvy fans will watch this point in the circuit come race day—this is most likely where the medals will be won and lost. To get to the top of this feature, Helen produces 415w for 20 seconds–her peak 20 second power for the entire race. This is undoubtedly the hardest part of the course—even thought it’s not her max wattage—Helen hits 197bpm at the top of this climb. And there we have it, a lap of the World Cyclocross Championship course. 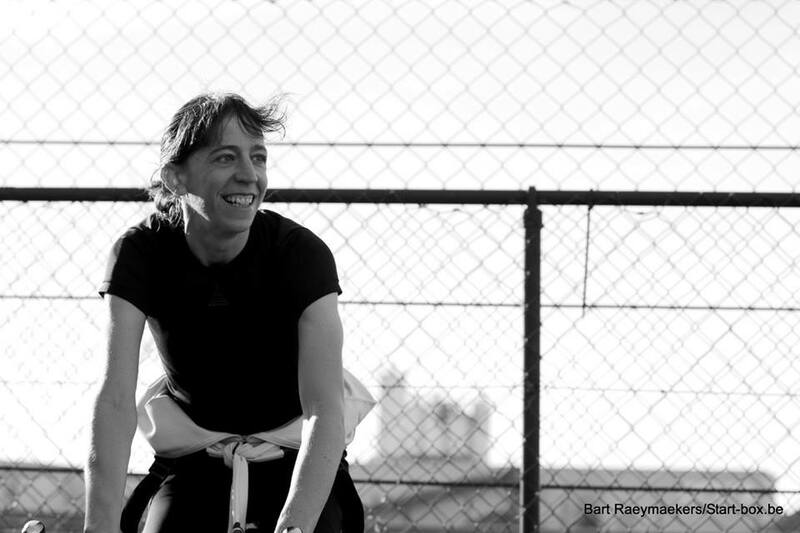 Video note: The full length video was captured by Yu Takenouki, during open course training. For illustration we’ve overlaid Helen’s race power data over key sections of Yu’s video capture. Awesome post guys. Got a lot more to do to get in shape!